The Väsman field can represent a significant potential for expansion for Nordic Iron Ore. The field is a direct southern continuation of iron mineralization in the Håksberg field and runs about three miles to the south. 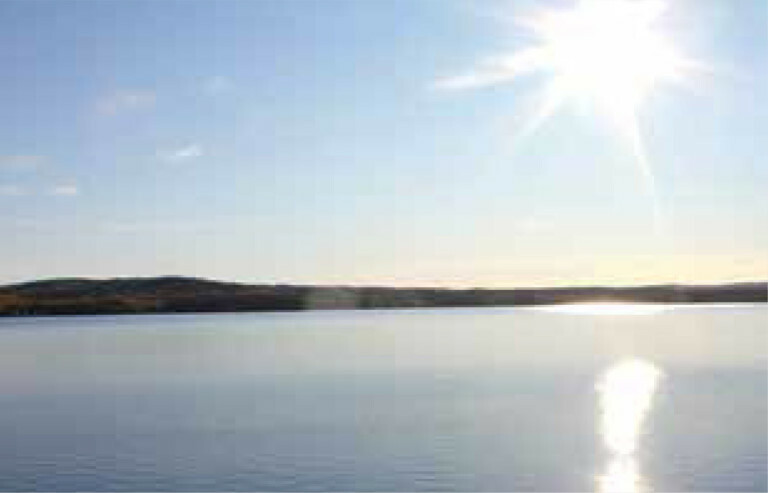 The bulk of the mineralization is located in Lake Väsman, west of Ludvika, and continues along the lake’s south shore at Finnäset. The company can thusly logistically and infrastructure-wise capitalize on its geographical location and potential future mining of the three fields come from a common drift system. Iron mineralizations on Finnäset has been mined since the 1830s in several small mines. Below Lake Väsman, the magnetite mineralizations have been known since the late 1800s when the first magnetic map was established of the lake. The confirmed iron mineralizations on the south shore of Finnäset, as well as the Våghals and Byberg mines, continues out over the lake Väsman over to the northern shore of Iviken. Between the years 1954 and 1959, Ställbergsföretagen conducted a exploratory program in which a total of 22 holes were drilled from the day. The results from these studies led to the decision of Ställbergsföretagen to continue the exploration of the southern part of Väsman. A shaft was lowered to 280 m depth 1960. The Väsman field is part of the long swath of iron deposits that begin with Gräsberg field in the north and continues with Håksberg, Iviken and ends with Finnäset in the south. Initial hematite has to some extent transferred to magnetite and a more or less intense skarn formation has taken place. Primarily quartz and skarn banded magnetite mineralization in which a clear hematite conversion has been present also in the field. The most common cut minerals are biotite, chlorite, hornblende, aktinolite, garnet, cummintonite and epidote. The dominant wall stone consists of a oligoclase-bearing metavolcanite, sometimes hornblende-bearing and usually with a strong micaceous schist. During the winter of 2011, Nordic Iron Ore performed new magnetic measurements from the ice of the mineralizations to verify and supplement the previous measurements. Based on these, a modeling and interpretation of the magnetic bodies was made down to 300 meters and, according to this measurement, the field was judged to have the potential to develop into one of the more significant iron ore deposits in Sweden. The uncertainty of a geophysical interpretation and modeling, as well as insufficient number of drill holes in previous studies, means that the field needs extensive exploration efforts, including a major drilling program in ordet to be able to classify the mineralization as a mineral resource under the JORC standard. The south parts of the Väsman field, including mineralizations on Finnäset, has since autumn 2012 been explored by drilling down to approximately 550 meters depth – a first phase of the core drilling program. The drilling in the Väsman field has been made from barges as well as from Väsmans south shore. A total of 7,400 meters were drilled. The mineral resources in the limited part explored by drilling has been estimated at 7.0 million tonnes with 38.5 percent iron, classified as indicated resources, and 85.9 million tonnes at 38.4 percent iron currently classified as inferred resources. The mineralization is open at depth.